Here’s a picture from August 2017 when I went to the Color Factory, an experiential exhibit in San Francisco. 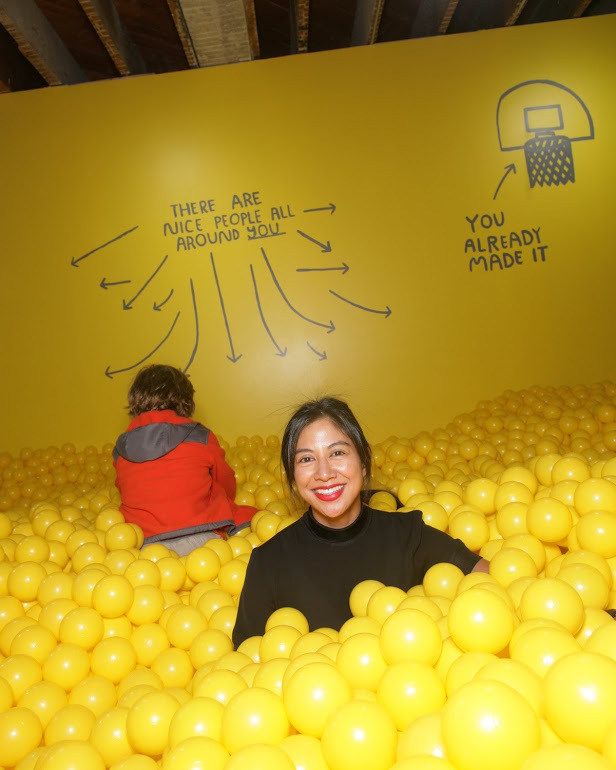 There was a room with 10,000 colored ribbons, another room full of confetti, and this was the giant yellow ball pit. You are adorable and this looks like so much fun!!! Next time you go, take me with you!